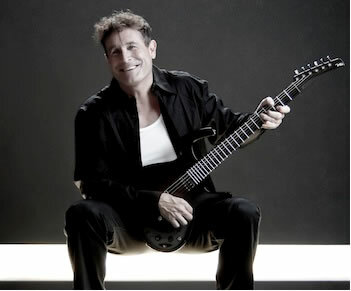 Johnny Clegg is a singer, songwriter, dancer, anthropologist and activist who blends Western and African Zulu rhythms together. He is a well-known and important figure in South African music who successfully blends Western and African Zulu rhythms and lyrics together. Born to an English father and a Zimbabwean mother he spent his most of his childhood in Zimbabwe until the the age of seven when he immigrated to South Africa with his mother and South African stepfather. Johnny was exposed to music from a young age as his mother was a cabaret and jazz singer. He was also exposed to numerous cultures as his step-father (a crime reporter) took him into the townships at an early age. Spanning three decades, Johnny’s career has been an illustrious one. First, a lecturer of Anthropology at the University of the Witwatersrand in Johannesburg, Clegg was already working on his ideas of blending English lyrics and rhythms with Zulu musical structures. Recognised by a South African producer, Hilton Rosenthal, Johnny and his musical partner at the time Sipho Mchunu signed to his independent label under the name of Juluka. This was a time in South Africa’s history when radio content was intensely censored. Mixing music and mixed race bands were therefore an illegal practise, making the music they wanted to produce not viable. Their band could only play in private venues such as universities, church halls, migrant labour hostels and private houses. The police often attempted to close these performance down. This never prevented the band achieving a substantial following. The band split up in 1985 after a successful succession of albums. His second band, Savuka was based around the concept of mixing African music with a wider music base and international rock sounds. Savuka toured in Europe and north America from 1988 to 1993, and broke attendance records in France in 1988 and 1989. Savuka terminated in 1993 and since then Johnny has recorded several solo projects. He has featured at major European festivals, including Live at Sunset, Zurich 2005, Fête de l’humanité 2007 in Paris, France; Musique Métisses 2006 at Angouleme (France’s premier World Music festival), Bal à la Bastille 2007 (open air for 100,000 people at the Place de la Bastille in Paris – televised live by over seventy TV stations), Quebec Summer festival 2006 (Festival d’eté de Québec) and concurrently completed his own annual European tours and in 2005 completed a 30-date coast-to-coast tour of the continental US and Canada and a sell-out tour of Australia and New Zealand. 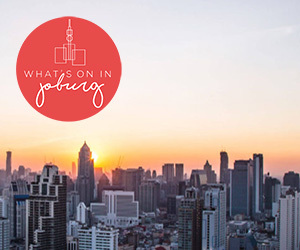 Johnny continues to tour the world and South Africa to packed crowds. His most well-known songs have become anthems to many South Africans such as, “Impi”, “Great Heart” and “The Crossing”.